Sushmita Sen was spotted in a Dolce & Gabbana D&G top at Pooja Makhija's book launch. An elegant watch and pair of solitaire earrings completed the look. Also, liked how the star balanced the printed top with white bottoms. 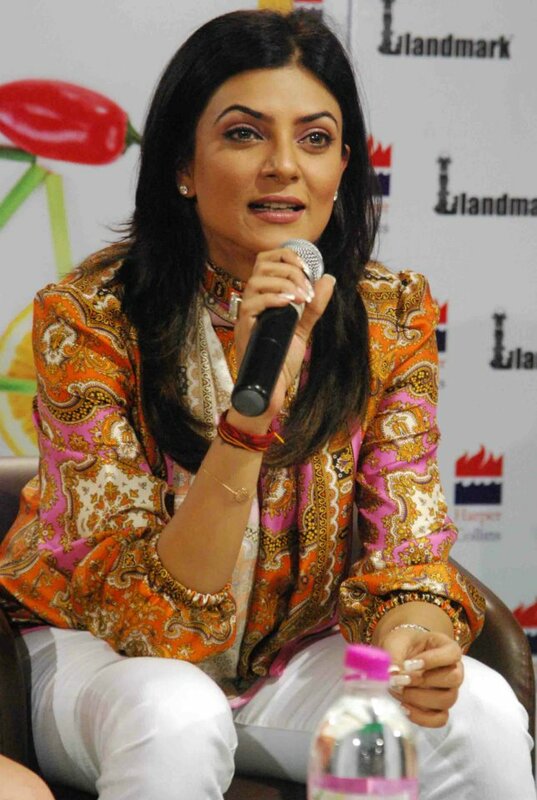 Really smart and sophisticated look on Sushmita Sen.